Tulving, bullion direct…and the Northwest Territorial Mint! I’m pretty sure I’ve published every day since my Mexican vacation of November 2012, nearly 3½ years ago. In fact, even when Diana and I were in China in August 2013, culminating our 7½-year journey to Sylvie, I was up at 3:00 AM each day, writing articles on my laptop. That said, unless the world goes to hell in a handbasket – which may well be the case – I will NOT be writing or podcasting next week, as my “batteries” badly require recharging. 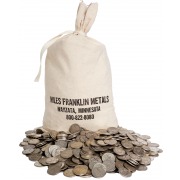 That said, the primary reason I’m writing is to yet again answer the question of “why should I use Miles Franklin for my Precious Metals purchases, sales, and/or storage.” For one, the Miles Franklin Blog is perhaps the best FREE source of Precious Metals information on the planet. Additionally, we provide the industry’s highest buy-back prices to our clients. Moreover, our fantastic Brinks storage programs in Montreal and Vancouver – one of the few in the entire industry charging not as a percentage of bullion value, but by the ounce. But most importantly of all, our impeccable track record of top-flight service – as evidenced by our A+ Better Business Bureau rating, and not a single registered complaint since opening our doors in 1989. As discussed in great detail in last month’s “why Precious Metals dealers are not commodities,” our home state of Minnesota, two years ago, became the only state to regulate Precious Metal dealers. Thus, the odds of being the victim of “bait and switch”; the unethical at best, and illegal at worst practice of co-mingling firm and client funds; or outright theft are essentially zero. To that end, co-Founders David and Andy Schectman are pillars of the Minneapolis business community – having gained that distinction over three decades of hard work – often in extremely difficult business conditions – based on the simple premises of honesty, work ethic, and value-addition. To that end, the reason I wrote “why Precious Metal dealers are not commodities” was the multitude of calls received from people wanting us to match – or beat – the prices of competitors we know to be selling at or below cost. Which would not only endanger Miles Franklin’s financial health, but the clients’ as well – in dealing with an obviously cash flow negative company. This is precisely what we warned when people asked us to match or beat Tulving and Bullion Direct’s cutthroat pricing in the 2012-14 time frame. And wouldn’t you know it, both turned out to be frauds – in which the principals absconded with millions of client funds! 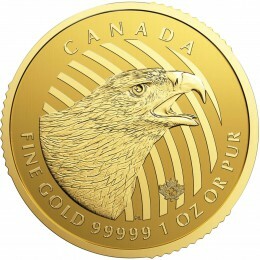 Which is precisely what appears to have happened this week at one of the nation’s largest bullion dealers; the inappropriately named “Northwest Territorial Mint,” given that its headquarters are not in Canada, but Washington State. For some time now, there have been rumors that something was amiss there – as discussed in this December 2014 article, which the company bent over backwards to refute. 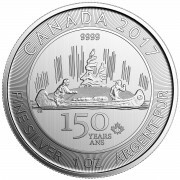 When asked about of his view of the NWT Mint, three-decade bullion dealership veteran Stephen Quayle said exactly what Andy Schectman has been saying all along. “If a deal seems too good to be true, it is. If dealers and distributors can’t buy at spot, what makes people think they can? 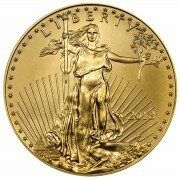 People who are penny wise and pound foolish when buying precious metals get burned. And we are not talking about pennies here, but people’s life savings. 1. China unveiled “Trumpian” tariffs on the import of all foreign goods – giving the world a taste of what’s to come for the next, economy-destroying decade. 3. China’s government officially admitted it’s monetizing not just ETFs like the Bank of Japan, but actual corporate stocks – to the tune of $4 billion worth last quarter. 4. The ECB entered its Euro-destroying “phase II” of QE, one year after launching “phase I,” with the second straight month of negative CPI readings. 5. Japanese manufacturing data was so bad, it was amongst the worst Tankan – or should is say, TANKING – surveys of all time! 6. Like yesterday, when China’s credit rating outlook was reduced from “stable” to “negative” by S&P, Moody’s did the same to Mexico’s outlook today. 7. Oil prices continued to plunge, as the Saudi prince himself confirmed what I’ve said all along – that without every major producer on board, even a pathetically inadequate “production freeze” (from all-time high levels, in which nearly no nations have any spare capacity to start with) will occur. 8. Gold ended the first quarter with its best start to a year in 42 years – with even the traditionally anti-gold “World Gold Council” forecasting significantly higher worldwide demand. …whilst the “Dow Jones Propaganda Average” was yet again “rescued” by a “hail mary” rally, after previous “DLITR,” or don’t let it turn red algorithms, were on the verge of failing. And of course, the aforementioned Chinese “national team” was on hand to “hail mary” the Shanghai Exchange above 3,000, despite the Japanese Nikkei plunging 2.6%. European stocks are down 2.5% this morning – but don’t worry, Dow futures not even 0.5%! On to the “jobs” report – which yet again, proved no farce is too blatant for the “island of lies” that the BLS resides on, especially during an election year. To wit, in a quarter featuring across-the-board economic data on a par with the 2008-09 crisis – including sub-50 recessionary readings for both the PMI service and manufacturing indices, and the largest number of announced layoffs since the first quarter of 2009, the BLS again reported its seasonally-maladjusted 200,000+ “jobs”; at +215,000, “in line” with the expected +210,000. Blah, blah, blah, the “unemployment rate” “unexpectedly” crept up from 4.9% to 5.0%…and blah, blah, blah, blah, blah, blah. As you can imagine, the Cartel was lying in wait, with the overnight activity prototypical ahead of an orchestrated post-NFP raid. And when the numbers emerged, BAM! Yes, with stock futures barely budging; none of the base metals materially moving; and TREASURY YIELDS DOWN SHARPLY (rate hikes my arse! ), gold was smashed by 1.5%; and silver, a ridiculous 3% in mere minutes. Which of course, will have ramifications in the real physical market, as the all-time high level of global demand – amidst plunging production and vanishing inventories, will unquestionably tighten further. In the real, physical Precious Metals market, “this too shall pass.” Conversely, the “wildly PM-bullish, everything else bearish” headlines will, for all intents and purposes, NEVER end. Which is why “Economic Mother Nature,” no matter how much the powers’ that be manipulate, cannot, and will not, be defeated! P.S. Did I mention the day’s “other” economic data, which of course doesn’t matter when the Cartel is amidst a patented NFP gold and silver raid? 2. ISM manufacturing, at 51.8, signaling essentially the same thing. 3. March construction spending, which was expected to rise by 0.2%, instead declined by 0.5%. In other words, not a shred of data anywhere to confirm labor market improvement of any kind – which is probably why Janet Yellen gave the most dovish speech of her tenure two days ago! But don’t worry, as these data all came out at 10:00 AM EST; i.e., the close of the physical PM markets, and the time that the PPT’s –er, the Fed’s – “open market operations” occur, all’s well…for now.